Leisure Ridge in Manchester, New Jersey is a gated community with a small-town atmosphere that welcomes active adults aged 55 or better. This active adult community has easy access to shopping, restaurants, hospitals and major roads. It is also close to beaches, wildlife areas, lakes and golf courses. The inviting clubhouse at Leisure Ridge includes a card room, fitness room, billiards, an outdoor pool and tennis and shuffleboard courts. Though the community does not have an activities director, residents plan many exciting events and activities. The charming community clubhouse at Leisure Ridge offers residents a comfortable space to relax and spend time with their neighbors and friends. The fitness center gives residents an area to work out without having to invest in their own at-home equipment. Residents can also strike up a friendly game of cards or billiards. Leisure Ridge also has a wonderful outdoor pool perfect for refreshing dips and relaxing poolside on the patio with friends and family during hot summer days. Residents can also pursue outdoor activities like shuffleboard, bocce ball and tennis. Leisure Ridge is an intimate community made up of 183 single-family homes. Built from 1987 to 1998, this gated community offers four models that range from 1,330 to 1,682 square feet. All homes have two bedrooms, two bathrooms and one or two-car garages. A reasonable monthly homeowners association fee covers security, snow removal, full lawn care, street and common area maintenance, and access to the clubhouse and pool. Leisure Ridge in Manchester is an ideal setting for active retirees who want to live in a tight-knit community with a moderate four-season climate. This 55 and better community offers many social opportunities. In addition to enjoying the clubhouse amenities, residents of Leisure Ridge regularly meet for game nights, planned trips, and holiday parties. There are a variety of interest groups residents can join such as bocce, billiards, tennis, and shuffleboard. 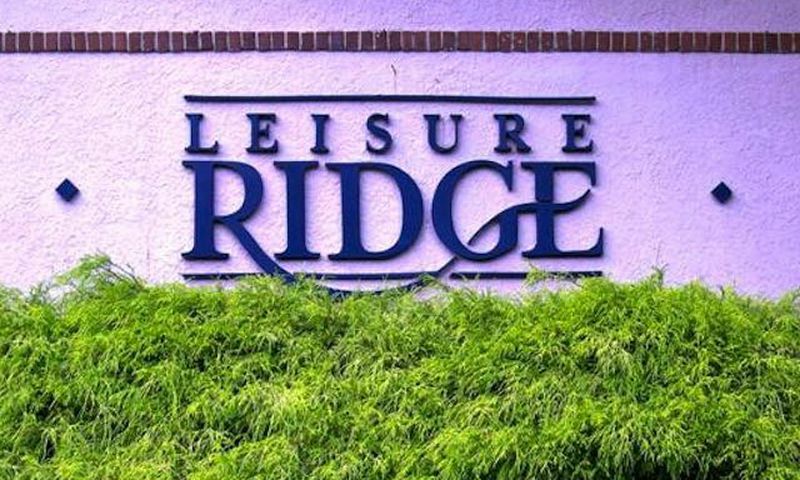 Leisure Ridge is located in Manchester, New Jersey just five miles from the Garden State Parkway. Ocean County is the ideal place to live with an abundance of beaches, shops, restaurants and recreational opportunities. There is always something to do whether it is gambling at the casino, walking along the boardwalk, dipping your toes in the sand at the beach or enjoying a movie at the theater. For farther travel, the Trenton-Mercer Airport is just forty miles away while Garden State Parkway is just five miles away. Leisure Ridge is a terrific well-established 55+ neighborhood in Manchester, New Jersey. There are plenty of activities available in Leisure Ridge. Here is a sample of some of the clubs, activities and classes offered here. Leisure Ridge is a gated, 183-home community that offers four models that range from 1,330 to 1,682 square feet. All homes have two bedrooms, two bathrooms and one or two-car garages. A reasonable monthly homeowners association fee covers security, snow removal, full lawn care, street and common area maintenance, and access to the clubhouse and pool. 55places.com is not affiliated with the developer(s) or homeowners association of Leisure Ridge. The information you submit is distributed to a 55places.com Partner Agent, who is a licensed real estate agent. The information regarding Leisure Ridge has not been verified or approved by the developer or homeowners association. Please verify all information prior to purchasing. 55places.com is not responsible for any errors regarding the information displayed on this website.